Thinking about throwing a party in the near future and going with a theme? Here are some great summertime theme ideas to get your brain turning! Aloha Theme party. This is great for graduation parties, baby showers (“Aloha baby”, farewell parties (as Aloha also means goodbye!) or just a good backyard casual get together! Mai Tais aren’t blended drinks so they are an easy party cocktail drink option, passion fruit drinks for kids, pulled pork sandwiches, coconuts, leis & more, make this an easy, fun and affordable summer party theme to go with. Tiki Bar Party. 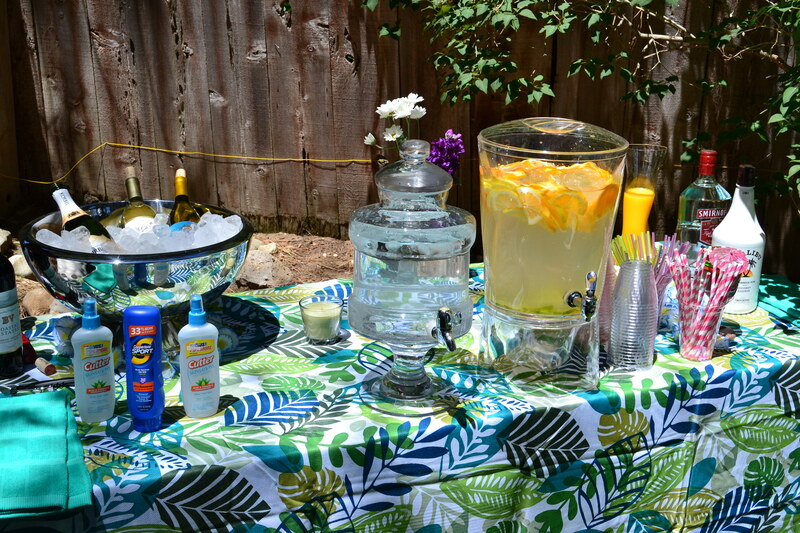 Another party along the “Aloha” theme but easy to decorate and keep it simple with Tiki Torches, tropical beverages and the mix. ‘South of the Border’ Party or Cinco de Mayo party. Margaritas, easy entertaining food such as a taco bar, guacacmole & salsa bar make this an easy and great theme for a hot summer day. Beach Party or Pool Party. Drinks ideas abound with this party theme as it’s not limited by a “theme” so much as a time of year. Whatever great drink ideas you decide on, combined with some beach towels, beach balls and other “beach” decorations make this a simple decorating party and allows people to show up in their bathing suit attire! Always feel free to contact Humboldt Event Services for more details on our ideas and how we can help you throw the party! Whether it’s renting you our equipment or providing bartender services, or both, we are here to help you with all your party needs! This entry was posted in Party Theme Ideas, Uncategorized by HumboldtEvents. Bookmark the permalink.